Berenice Walters, the Dingo Lady, spent her adult life fighting the Dingoes’ cause. This Blog is a tribute to her work to have the Dingo recognised as Australia’s native dog and as an important part of the Australian ecosystem. Berenice was dedicated to educating the general public about the attributes of these wonderful primitive dogs. 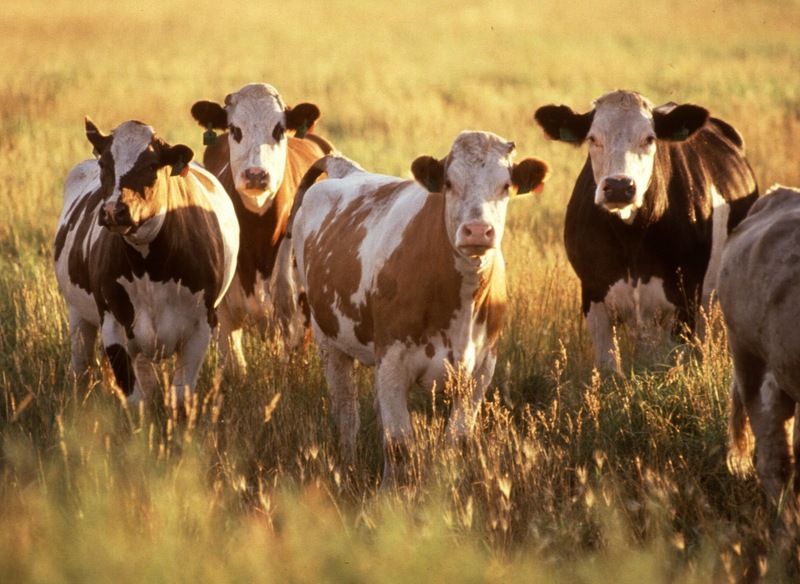 In 1978 three red dogs were seen chasing the Walters stock, singling out calves. Quickly checking none of their dingoes had got out, they raced down to identify the dogs. They were collies. One very large red dog resembling a red Samoyed, one tri-coloured collie and one corgi type dog. It was crucial for them to identify the dogs. Other farmers were likely to see these dogs chasing their stock and naturally thoughts would turn to the Walters dingoes. The dogs were sighted on several occasions and sometimes heard barking at night. Finally, the local Pastures Protection Board and Council were advised. While explaining the case to the Council Pound Officer, the dogs were sighted about ¼ mile away and the officer was able to cut the dogs off and follow them home. Apologies were received from the from the dogs’ owner and the Walters had no further trouble with them. Had this happened in an area inhabited by wild Dingoes, most would have token it for granted that Dingoes were the culprits. Did you ever watch the television series 'The Last Resort' that came out in 1988? A little bit of trivia for you. Merigal dingoes, Jarrah and Cobber, were stars of one episode. When Bruce Kubbere of Featherdale learned of the tragic death of the beautiful and much-loved Peter Pan, he rang saying 'I have a puppy for you'. 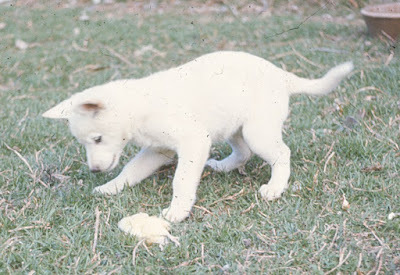 His old male dog had been mated to a fine looking young white Dingo and they had six white pups - most unusual. Berenice usually gave her dingoes Aboriginal names, but she felt she needed a cobber (a friend) badly. With the thought this was a very Australian term, Cobber was it. He was a delightful pup, and very affectionate. He adjusted well to the continual socialising he was exposed to daily. As usual, Merigal matriarch, Dora, took him under her wing as soon as he arrived. It was heart-warming to see this old, old Dingo with the white dot beside her, doing the rounds. She showed him the territorial boundary, guided him round the yards in the mornings and, of course, disciplined him. On one occasion, Dora got up and staggered over to an enticing morsel lying in the grass. Cobber immediately hurried over to have a look as well. In a flash Dora spun round and grabbed him on the neck. He had to learn to respect her rights. He did cry, but soon got over it. Only his pride was hurt. Berenice felt ss Dora got older she could not cope with Cobber’s sometimes rather disrespectful behaviour, so they were only together when supervised. But they remained wonderful companions. Cobber also had a couple of Cattle pups to play with. The difference in their play routines was, as always, startlingly different. As Cobber runs, the two Cattle pups constantly run to head him off, or heel him. When it is Cobber's turn, he chases the Cattle pups, upends them, then in the manner of surviving in the wild, goes through the actions of biting at the abdomen. To the casual visitor this 'play' is rather startling, but no injury incurred or was meant. It is a case of using play to develop the necessary skills to survive naturally. Cobber was well behaved in the house where he spent quite a bit of time in the evenings stretched out in front of the fire. His trampoline bed was set up in the laundry. This pup wanted to be with humans, and the characteristic was fostered eagerly. The film location for the A.B.C. production 'The Last Resort' was Macquarie University and Berenice enjoyed a very interesting and relaxing 11 hours, leaving Bargo at 2pm and not getting home till after midnight. Jarrah and Cobber were excellent and played their parts to perfection. Their role was inmates of a zoo where they were much loved by a keeper, played by Christine McQuade. As the animals faced an uncertain future, they were all let out of their pens. The dingo stars were supposed to gallop past the cameramen squatting on the ground, to return to Berenice, but instead, on the first run, they dashed up to the cameramen and affectionately licked all their lenses (no doubt wondering where their faces were). After filming was completed for their scenes everyone made a great fuss of the dingoes. Jarrah and Cobber thoroughly enjoyed the occasion, particularly as they had to be fed every time Christine did a 'take' with them. The feed was roast beef prepared for dinner meal break. The Society received a donation of $250.00 for the use of Jarrah and Cobber. Can dreams influence or predict our future? Berenice’s did. When, as a young woman, Berenice first dedicated her life to the dingo cause she had a recurring dream. 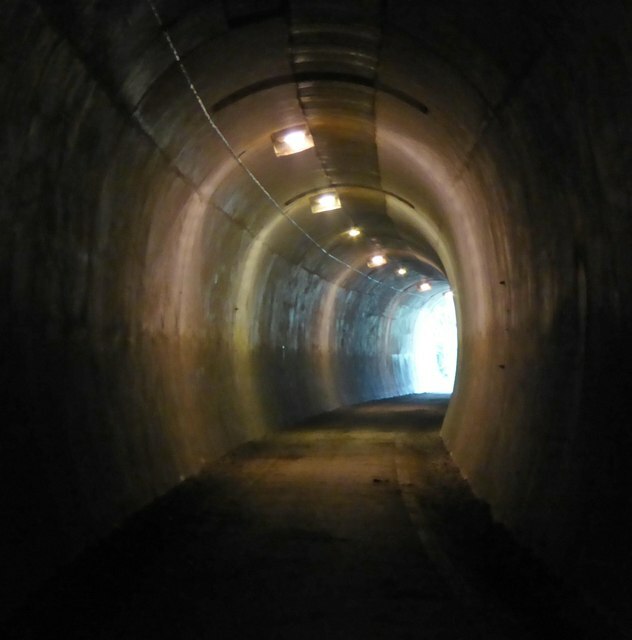 She saw herself very straight, slim and confident, slowly making her way up a long, narrow, dimly lit corridor lined on both sides by steel, cell-like barriers. Behind the barricades were milling crowds of angry people, shaking their fists at her and shouting abuse, struggling like demons to destroy her. Although the passage was narrow, the violence so close, she sensed she was safe. Carefully and deliberately, with no thought of turning back or panicking, she made her way onward through the dimness and towards a speck of light at the far end. She never actually saw herself reaching the pinnacle of her obsession, just a determination to get there. The dream seemed to show her the direction her life would take. She knew the road would not be easy and she would have no peace until she reached her goal or died in the effort. She foresaw oppression and destruction would be close about her, but she would be safe. That speck of light in the distance indicated hope to which she clung desperately. Dingo advocates need to be a more united force. Three books on the Dingo by Berenice Walters. Berenice explains ‘play fighting’ between litter sisters. A Brief Guide to Characteristics, Development and Trainability of the Dingo.